Want to be a paid blogger? Then BlogMutt might be for you. In my first 2 hours on their website, I earned $100. Keep reading to learn whether this opportunity is right for you. With so many online writing opportunities available, many people who once worked regular day or night jobs have quit them to become full-time online writers. The types of writing opportunities that these writers take advantage of are very broad, which include creating landing page content, brochures, articles, blog posts and much more. One such place that writers are able to find an assortment of 300-word blog posts assignments is Blogmutt. Blogmutt became a reality in 2010; however, its first blog posting was not sent to the first customer until August of 2011. Headquarters is located in downtown Boulder. With customers from around the globe, there’s always plenty of work to go around for writers. There are thousands of writing opportunities available through Blogmutt. Keep in mind that they’re currently hiring writers in the US only. For each client that Blogmutt acquires, at least four blog posts are needed each month. It’s important for writers to know that when creating a blog post for a Blogmutt client, the client always has the right to reject the content. On the upside, though, when content is rejected, it still belongs to the writer, and it can be recycled to another client. Only about 10 percent of the blog postings at Blogmutt are rejected, but many times, writers are able to recycle these postings and still make money off of them by submitting them to another client. For each blog posting that’s accepted, the writer will earn $8. Writers are paid via PayPal every Monday, but to get paid the writers have to submit an invoice. Submitting an invoice is very simple. In fact, it’s actually as easy as clicking the ‘submit an invoice’ button. For each post that a writer creates, points are earned. Points are also earned when a writer sells a post. After earning so many points, writers move up a level. There are eight levels, and once a writer reaches level 8, they actually own a share of the Blogmutt company. One of the great things about Blogmutt is that a writer has the freedom to make an endless amount of money. The more blog postings that a writer creates and sells (posts are purchased by clients on Thursdays), then the more money a writer will make. It’s important to note that just because a blog posting doesn’t sell the first Thursday after it’s created doesn’t mean it won’t sell the next Thursday. Some clients have so many postings submitted to them from writers that they have enough blog postings to satisfy them for months. This means that a writer sometimes won’t sell a blog posting for several months. For the most part, though, as long as a posting doesn’t get rejected by a client, it will eventually sell. To become a writer for Blogmutt, a freelancer will need to click on the link located here. There’s a link located on that page that takes a freelancer to the Blogmutt writer application. After setting up an account, which includes providing information about the writer’s LinkedIn account, the freelancer will then be asked to agree to TOS. There’s a one-question test that a writer has to pass, which is comprised of taking a few words and stringing them together in past tense so that they form a sentence. And that’s about it. It’s very simple to become a writer for Blogmutt. In fact, it’s so simple that this is one of the drawbacks of the company. It’s clients sometimes reject lots of blog postings because there are many freelance writers writing for Blogmutt that have no writing experience whatsoever. Blogmutt is a reputable and credible company. It provides many clients with high-quality blog postings on a weekly basis. 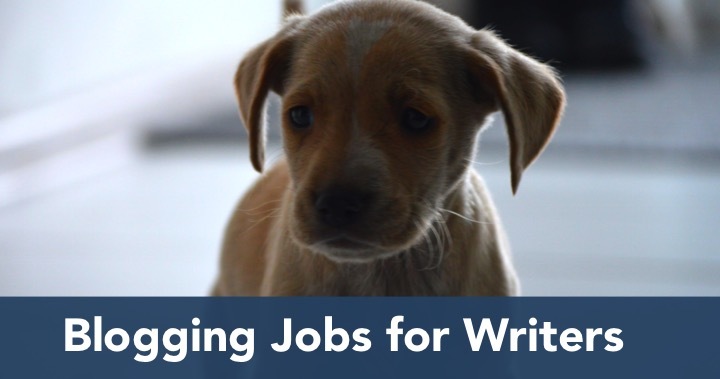 For writers, Blogmutt is a dream job because no prior experience is needed. For clients, Blogmutt is a great company to partner with because it guarantees blog postings on a consistent basis, and best of all, if a client doesn’t like a blog posting, it doesn’t have to pay for it. I’ve been writing for Blogmutt for a couple of months. I’ve made about $100 through the platform, which is rather good pay being that I’ve only spent about two hours total creating content for Blogmutt. I stay busy with other online content creation platforms, or I would devote more of my time to Blogmutt. As a writer, I don’t appreciate the fact that clients can reject a posting without first asking for an edit, but I was informed of this before I signed up, so I have no reason to complain. The company has always paid me on time for the postings that I’ve sold to Blogmutt clients, making it a very reputable company in my book. Blogmutt is great company to work for, especially for writers who are just starting out in their freelancing careers. And being that writers make $8 for 300-word blog postings, which take about 10 minutes to create, this makes for a quick and easy way to earn extra cash.